The Tobu Nikko Station has a tourist information desk where you can get help in English and pick up a town map. 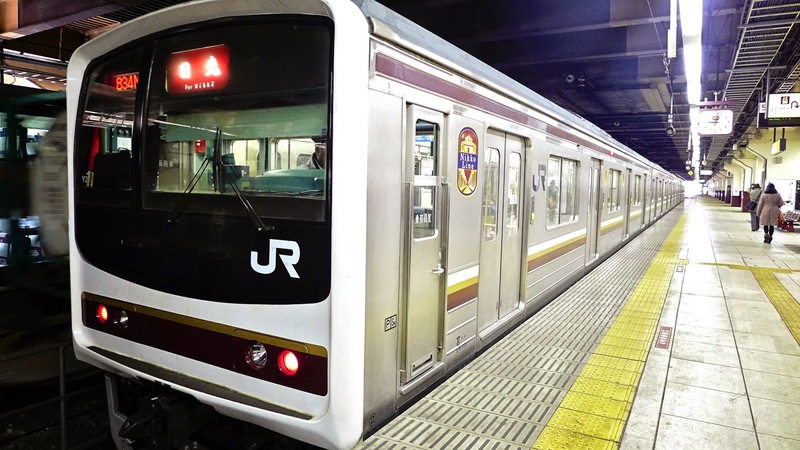 From the train stations, it�s about a 30 minute walk up the main street to the shrine area.... From here you must get the non-JR Odakyu train up to Hakone area. I recommend the Hakone free pass for this. For Kawaguchiko, you can use the JR Pass to get as far as Otsuki. Hi there, Yes a trip to Nikko is completely covered by the JR Pass! Which is great as normal tickets on the JR are relatively expansive. To get to Nikko: Take the Tohoku shinkansen from Tokyo station to Utsunomiya, from here transfer to the Nikko line, bound for Nikko. im not an expert because ive only been to osaka once, but ill try. if you arrive early enough you can take the train, but there are airport buses to the city too. theres a station on midosuji subway line right into the nikko. The Nikko station itself is tiny. It does have a good tourist office but the lines can be long. Just go to the train ticket office and get a Heritage bus ticket. TOBU Nikko Station is next to Nikko Station. You can also take trains from Asakusa or Kita-senju, but there is a different train that I can't find information in English. You can also take trains from Asakusa or Kita-senju, but there is a different train that I can't find information in English.